At home.loans, we’re all about empowering home buyers. Buying a home is an extremely commendable step in the journey of life, and getting a mortgage is an impressively large investment. The home buying process is no walk in the park either, so anyone who feels ready to take the tremendous leap into homeownership deserves some serious respect. Mortgages are typically the largest sums of money that the average person will borrow in their lifetime. They are truly grand investments of money that can take decades to repay and are used for the purchase of something that is near invaluable: a dwelling that can be made into a home by the people who inhabit it. In all seriousness, every home buyer must come to understand the true value of a home loan, and the impact it can have on their future. Our team has always believed that educating first time home buyers and repeat home buyers alike is the first step towards building greater home buyer confidence and empowering communities. After all, a first time home buyer shouldn’t have to wait until their first mortgage transaction to get a crash course in the world of home finance, and a repeat home buyer may not be as up to date with the current state of the home finance world. But there is also another group out there who we believe could use some home.loans knowledge to help them with their endeavors. In case you hadn’t figured it out yet, the folks we’re addressing are those homeowners who are considering the purchase of a second home that is to be used as a secondary residence. These home buyers are repeat home buyers, who aren't interested in investing. Instead, they are interested in having a second home, maybe as a place to get away from the world for a while, or perhaps a spot to be closer to the more important things. Whatever the reason, second home buyers are a unique group of home buyers who have extra challenges to face when buying their second homes and trying to get a home loan to finance it. That isn’t to say that a second home buyer should be afraid of being denied approval, it's just something that lenders and loan guidelines tend to focus on. The important thing to note here is that buying a home while already in a mortgage agreement does have its differences from selling a home to buy a new home, or simply buying a home for the first time. What Qualifies as a Second Home? The first noteworthy thing that home buyers must understand is what a second home is, as it relates to mortgage underwriting. Any home buyer who has purchased an investment property can agree that the purpose behind buying a property plays a large role in how that property can be financed. Investment properties have an entirely different set of rules and requirements when it comes to financing them, and second homes are no different. As far as mortgage underwriters are concerned, properties are purchased for a variety of different reasons and should be classified and financed based on the use for that property. For example, the mortgage process for an investment property which the home buyer does not occupy can be seen as more of a business transaction instead of a true home purchase, since they are solely interested in making a profit from the property. This mindset has spawned a few property classifications that are important to know when trying to buy a home for any reason. For home buyers looking to purchase a second home, this distinction is particularly important because second homes fall snuggly in between primary homes and investment properties. Legally speaking, a person can really only have one principal residence, so second homes cannot be classified as such. On the same note, a second home isn’t typically utilized for the purposes of making money, so they aren't really investment properties either. A principal or primary residence is an owner-occupied dwelling. It is purchased with the home buyer’s intention to live in the property for the majority of every year. Primary residences are typically located close to the homeowner’s place of employment and have traits that best cater to the homeowner and their family (if they have one). The home buyer’s intent to occupy the property as a primary residence is often acknowledged in the form of legal documentation several times during the mortgage transaction. As far fetched as it may seem, lenders do not want home buyers who finance a property, then decide to go live somewhere else, and get a different mortgage. Many mortgage agreements for principal residences require a home buyer to actually, physically occupy the property within 30 days of closing the loan. Some people buy homes with absolutely zero intention of living in that property. While some may purchase an investment property that they can occupy while still turning a profit, many simply purchase these homes strictly for renting them out or flipping them. Many investors have come to accept that a good majority of home loan options specifically cater to properties that are owner-occupied, and therefore require alternate means of financing. Investment properties are typically purchased to be rented out or to be renovated and resold. For the latter, it isn’t uncommon for investors to completely step away from conventional financing methods and instead rely on options like hard money loans or utilizing their saved equity for the purchase. For renting purposes, some investors have found a workaround where they purchase a property and occupy a room or unit while renting the available space out, making them eligible for mortgage programs that require owner occupancy. So where do second homes fit into all of this? Well, a second home is a single unit property purchased by a homeowner who already has a primary residence. Rather than turning a profit from this purchase, the home buyer intends to be the sole owner, and live in this second home for a portion of each year. Regardless of whether the second home is a necessity or simply a vacation home, mortgage underwriters have a few rules when it comes to second homes. For starters, a second home shouldn’t be too close to a homeowner’s primary residence. Many lenders require a minimum of 50 miles between a principal and second home. Additionally, while the home buyer is only required to occupy the property for only a portion of the year, a second home is required to be suitable for year-round occupancy, as a primary residence would be. Mortgages for second homes generally come with a document known as a second home rider, which has the home buyer agree to some stipulations regarding their second property. One stipulation commonly seen is that the property cannot be utilized as a timeshare or be a part of any similar arrangement like a rental pool. The rider may also require that the property be restricted from being included in any agreements that require the home buyer to rent the property out or allow a management firm or any other party to have control over the occupancy and use of the property. Even with those rules in place, there are no set definitions of what a second home can be when it comes to mortgage lenders. Some even have odd requirements for the second home to be a vacation home, such as being located in an established resort area. It is prudent to discuss these things with a lender when considering the purchase of a second home. A homeowner can use their second home whenever they want, with no blackout dates, or check-in/out times to worry about. Second home owners can decorate and furnish a second home to best suit their tastes, and even get more creative with it than they have with their primary residence! A second home can spare homeowners from heavy suitcases and checked baggage fees. After all, they can simply leave clothing, toiletries, and anything else they might need in their second home. Gifting family and/or friends a free place to stay in an awesome location is way cooler than a pair of socks or a coffee mug. Second homes afford homeowners a place to retire while being able to leave a property as an inheritance. With the latest update from Fannie Mae, you can actually rent out your second home without worrying about inflated fees or heat from your mortgage lender. A second home is another asset to add to the financial portfolio. Down the line, a homeowner may find opportunities for “home exchanges”, where homeowners swap vacation homes for a period of time, effectively creating amazing new vacation adventures. Let’s be honest, a good portion of us wouldn’t hesitate to buy a home on each coast or in a state we happen to love but don’t currently live in (if we could). Buying a second home sounds awesome, no matter how you slice it. Imagine traveling to a place that is far from the comfort of your home, but that you tend to go to often, and not having to crash at a friend or relative’s place or stay in a hotel. That term “home away from home” is so much more than a saying for homeowners with second homes. And, for the ones who are considering purchasing a second property, it is definitely a reality worth attaining. But there are some things that a second home buyer should take into consideration before purchasing a second home. The most obvious thing to consider is the cost associated with owning a second home. Clearly, since owning two homes isn’t the norm (and many people struggle with the one they do have, while others can only afford to rent), it is definitely a privilege for those who can afford to do so. For starters, the process of simply trying to buy a second home can be a costly affair. Many lenders won’t even consider home buyers looking to buy a second home who don’t have significant cash reserves on hand. Some even go as far as to require reserves that would cover both of the home buyer’s mortgages for up to six months. Many homeowners can’t say they could cover 6 months of their primary mortgage alone for that long, should their income suddenly stop. As if that weren’t enough, regardless of the amount of cash reserves expected of a home buyer for a second home purchase, mortgages for second homes still require a down payment. Sadly, down payments for second homes must be substantially larger than the average down payment requirement for conventional financing. Some lenders require a down payment of no less than 30% in order to be approved. Even with the upfront costs of purchasing a second home out of the way, the real test of affordability is what comes after. Owning a second home is no easy task, financially speaking, particularly for those who are still paying for their principal home. For a homeowner, being able to afford the cost of principal, interest, taxes, and insurance is key to avoiding foreclosure. With a second home, the concern of being able to handle those costs is literally doubled. That means two separate mortgage loans (already the largest loans that the average person ever takes out), each with their own interest rate, two wildly different property taxes to consider (which could be considerable for the second home if the property is located in a resort or vacation area as required by some lenders), and twice the homeowners insurance and/or mortgage insurance to have to worry about. And that’s not even taking maintenance expenses into consideration, not to mention possible homeowners association dues. Costs aside, second home buyers must put in some serious work in order to be seen as worthy of a mortgage for a second property in a lender’s eyes. Mortgage loans for second homes typically carry noticeably higher interest rates than their primary residence counterparts, and can require the borrower to have a much higher credit score, a lower debt to income ratio, and a significant sum of cash reserves on hand. Second home buyers are treated almost as cautiously as investors are, but they have the added responsibility of proving that the purchase isn’t an investment for profit. Additionally, Banking institutions generally prefer borrowers to have total housing expenses of no more than 28% of their gross monthly income. That number does not increase with each property owned, either. This makes them extra wary of loaning money to a home buyer for a second home purchase who is already near or at that 28% benchmark. Second homes even have some tax implications that should be taken into consideration. Mortgage interest tax deductions can only go so far, after all, especially after the recent mortgage interest tax deduction cap was lowered from $1,000,000 to $750,000. Selling a second home may also saddle a second homeowner with a considerable capital gains tax. Homeowners may find that they simply do not have as much time as they originally thought they would to put the second home to good use. Should anything happen in the relationship of second home co-owners, it is yet another thing of high value that must be shared up equally between the parties involved, or worse, granted to only one party. Arranging for maintenance to be done remotely can be a real pain, particularly for tasks that require entry to the home. Handling natural disasters, property damage, or break-ins remotely can also be a huge issue. Some second homes can be huge targets for burglary, and some homeowners don’t find out until months after the incident took place. Affording a second home can be tricky. Many people assume that a person with two homes is rich, but this isn’t always the case. Any home buyer with decent enough credit and in a respectable financial situation can technically get a second home if it suited them. The first hurdle that needs to be overcome is affording the upfront costs. In the absolute best cases, second home buyers utilize their life savings in order to make a down payment on a second home. However, that is actually quite rare. Typically, a second home buyer finds other means of obtaining the money necessary for a second home purchase. It isn’t uncommon for these home buyers to borrow cash from family and friends to cover the down payment and closing costs. But many have turned to the equity in their primary residence as a means of financing their second home purchase. Utilizing a home equity loan to cover the down payment on a second home only works when a homeowner has enough available equity accumulated. Even then, it is a pretty risky move, considering if things go south financially, the primary residence is also on the hook and at risk of foreclosure. Still, it is one of the few viable options for coming up with the necessary funds to pay for the upfront costs a second home purchase incurs. Earlier, we made it abundantly clear that a second home cannot be utilized the way an investment property would in order to receive financing as a second home. And, while that’s absolutely true, a loophole of sorts has opened up for second home owners to finally make some profit from the property that they only occupy for a portion of the year. Thanks to the near meteoric rise of sites like Airbnb, Fannie Mae and Freddie Mac have reconsidered the rental issue with vacation homes, more specifically, what an owner can do with their property after they have already been approved for financing. According to the mortgage giant Fannie Mae, rental income cannot be taken into consideration to qualify for a mortgage on a second home, but they are fine if lenders continue to consider a property as a second home rather than a rental property even if rental income is detected. This is potentially a huge win for owners of second homes, considering the interest rates on rental and investment properties is even higher than those for second homes. That means that homes that have qualified as second homes and have been approved for financing as second homes can finally be a small source of income for the homeowner. When it comes to financing a second home purchase, there are a few methods that stand out above all of the rest. Of all of them, utilizing the equity accumulated in a primary residence turns out to be the most popular method for buying a second home, and not without good reason. Home equity options have reasonable interest rates when compared to conventional financing, and, contrary to popular belief, there are other ways to access home equity besides home equity loans and HELOCs. A home equity loan is one of the best ways to utilize home equity, period. Home equity loans are funded as lump sums, and have relatively lower interest rates than most mortgage loans. Qualifying for a home equity loan is also pretty straightforward, as long as there is equity to tap into. 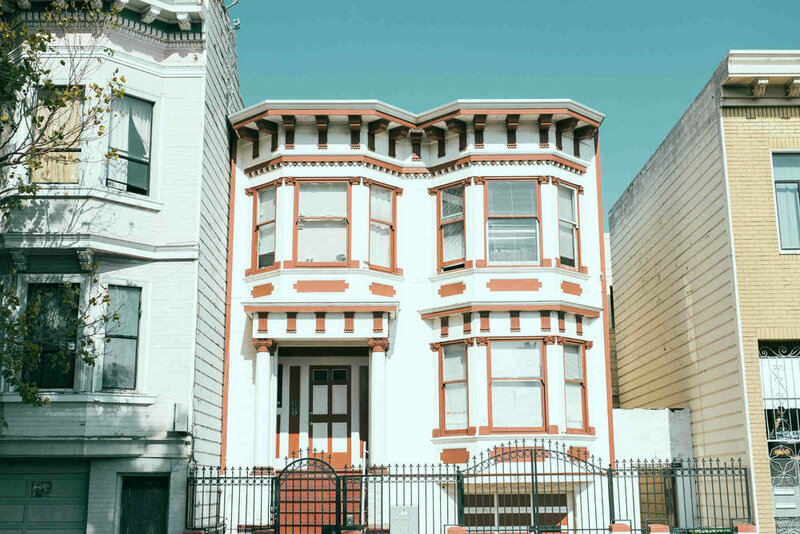 The best part is that lenders truly don’t care what you do with the money either, and when put towards the financing of a second home, lenders typically treat home equity funding as cash. A homeowner with enough equity accumulated in their primary residence can finance the purchase of a second home utilizing the cash from a home equity loan, only having to make easily manageable monthly payments until the sum is repaid. Home equity lines of credit are also a viable option, at least for covering a down payment. HELOCs are revolving credit lines, which means that borrowers are given a period of time to draw money from the amount they have been approved for. In general, they can take as much or as little as they need. However, once the draw period ends, whatever amount that was borrowed must be repaid. This structure makes HELOCs a pretty flexible option when it comes to making a down payment on a second home, and even covering some of the closing costs. However, it is highly recommended that HELOC borrowers abstain from drawing the maximum amount from their credit line. Drawing the maximum amount increases a borrower’s credit utilization ratio, which negatively impacts their credit score. Additionally, home equity lines of credit typically have variable interest rates, unlike their home equity loan counterparts. This may make the repayment a little more volatile than a borrower may be comfortable with. A good rule of thumb is to choose the home equity loan option if the down payment for the second home exceeds 30% of the available credit line of a HELOC. The major drawback of utilizing these home equity options is the doubled risk. Using a home equity loan or HELOC to finance a second home purchase is a great concept, but defaulting on the payments means putting a homeowner at risk of losing both properties. A home buyer looking to finance a second home purchase with home equity financing must be absolutely sure that they will be able to afford the costs of both monthly mortgage payments. Also, thanks to new tax laws implemented in 2018, the interest on home equity financing is no longer tax deductible, unless the proceeds were used solely for home improvement or renovation purposes. The loss of this interest rate deduction is substantial enough to cause some home buyers to seek alternate means of financing their second home purchase. For homeowners over the age of 62, a reverse mortgage may be a little slice of retirement heaven. Through a reverse mortgage, homeowners stop making monthly payments to their lender and are instead paid money either in installments, a lump sum, or even a line of credit, all based on the value of the property and the equity accrued. The loan doesn’t even have to be repaid until the property is sold or the homeowners move (or pass away). For a second home purchase, this is a crafty way for senior citizens to tap their home equity and finance the purchase. Funding from a reverse mortgage may be able to cover the entire purchase with enough equity, but there is a catch. Not making any payments means accumulating interest on the loan, which can make is incredibly hard to repay once the time comes. Should the homeowners pass away before the debt is repaid, it is left to the heirs to repay or sell the property to settle the debt. A cash out refinance is yet another option to put equity to good use. Homeowners who opt for a cash out refinance get to refinance their current mortgage with a loan that is greater than what they actually owe on the house, and receive the difference in cash. If the current mortgage rates are lower than the original loan, this is a double win, as they get a cheaper rate for the primary home loan, and cash in hand to fund the purchase of their second home. Essentially, a cash out refinance will set homeowners back by shifting accrued equity back into the principal loan amount due. This typically increases the monthly payments amount, even with a lowered interest rate. In addition, unlike home equity loans and HELOCs, a cash-out refinance will have standard closing costs attached to it. Borrowing money from your own 401(k) account may seem counterproductive, but these loans are actually pretty well suited for a second home purchase. Many people have a decent amount of cash saved up in their 401(k), and you generally aren't required to pay any interest when you borrow from yourself. Home buyers with enough saved up can dip into their 401(k) to cover the down payment, and simply pay the amount back in installments interest free! Of course, there is a drawback to 401(k) loans. Money borrowed from a 401(k) cannot accumulate interest until it is repaid, so the growth of the account does suffer for a while. Another drawback of the 401(k) loan is that they have notoriously short repayment periods, which can mean significantly higher monthly installments compared with similar loan offerings. To top it all off, if a borrower were to default on a 401(k) loan, the remaining unpaid balance may be declared taxable by the IRS. Getting a mortgage for a second home is no small accomplishment. Second homes that can’t be completely financed through one of the methods above almost exclusively require financing through a conventional mortgage. After all, most of the popular loan programs such as VA loans, USDA loans and even the widely used FHA 203(b) loan are reserved specifically for the purchase of a principal residence. Of course, utilizing conventional financing means dealing with all of the standard obstacles of a mortgage transaction, including the closing costs and down payment, but with even stricter eligibility requirements. Generally, lenders will (rightfully) be hesitant about loaning money to a borrower who already has a substantial debt obligation such as a mortgage to contend with. A home buyer looking to purchase a second home should be in a great position financially, with a credit report that backs that up. Even then, they still have to meet some tough criteria, and the first hurdle to deal with is having enough cash. Lenders must know that a borrower can handle the burden of two mortgages, even when times get tough. The first thing many mortgage lenders tend to look for in a borrower is their available assets, particularly their liquid assets. Cash reserves may not be an issue when buying a primary residence, but for a second home, it is almost guaranteed to be a requirement, no matter where you go. While it’s true that every lender has different expectations, typically, to purchase a second home, the borrower is expected to have enough in cash reserves to cover the mortgage of both properties for a set period of time. Most lenders should be okay with reserves that cover the monthly payments of both mortgages for at least two months, however, it isn’t uncommon for some to require reserves that cover up to 6 months worth of payments. This is particularly important to keep in mind when considering the purchase of a second home, as this money is separate and apart from what is due as a down payment or to cover closing costs. Having the cash reserves to move forward only gets a borrower so far, however. Mortgage lenders do not play games when it comes to financing for second homes, and the loans that they offer will have higher interest rates than the average mortgage loan. The only way to offset the higher rates of interest is to make a larger down payment. Typically, a mortgage for a second home requires a minimum down payment of 20%. Even so, many lenders would prefer a larger down payment to be made, sometimes reaching or even exceeding 30% of the property’s value. A larger down payment helps a borrower’s case by lowering the loan to value ratio (LTV), which in turn lowers the risk associated with loaning a borrower money. Another area of high importance is a borrower’s credit score. Mortgage lenders really want to see credit scores above 700 before feeling comfortable financing a second home purchase. Some lenders expect a home buyer to have a credit score of 720 or even 750 before they can be considered, but that still doesn’t mean that there aren’t lenders willing to work with credit scores as low as 620. Borrowers must also be able to show that they can handle taking on another large monthly payment. Lenders usually turn to a borrower’s debt to income ratio (DTI), which is a ratio that represents a borrower’s monthly debt obligations in comparison with their gross monthly income, in order to determine this. Typically, lenders want home buyers to have DTIs of no more than 43%, but for the purchase of a second home, it's common for lenders to require even lower figures, like Bank of America, which suggests a DTI of 36% for a second home purchase loan. With so much to consider, a home buyer looking to purchase a second home should take the time to make sure their finances are in order before even beginning the house hunting process. For second home buyers who already have their dream second home picked out, a good portion of time should be dedicated to planning the financing aspect. That should also include aggressively shopping around for lenders who will offer the best loan terms based on the borrower’s personal financial capabilities. Owning a second home may seem like something straight out of “Lifestyles of the Rich and Famous”, but the truth is, it really isn’t as far out of reach as one would think. That being said, handling one mortgage can be quite a difficult task at times, so homeowners should really think twice before picking up a second monthly mortgage payment. Owning a second home may be more of a possibility than what is typically imagined, but in the end, it still takes some serious financial responsibility and has some strict eligibility criteria to meet. Second homes, not to be confused with investment properties, are single unit properties that can be used for a variety of purposes. Some homeowners use them as vacation homes, some as a place to retire, and others to get closer to an employment location. Regardless of the purpose, a second home must be a place that a homeowner fully intends to spend a portion of each year, for whatever reason. This specification is important, because financing a second home can be a pretty tough deal. Many home buyers tend to utilize home equity financing to purchase a second home, but this may not always be an option, at least for anything more than a down payment, anyway. If all else fails, second homes typically require conventional financing, with more strict eligibility requirements than for a primary mortgage loan. If you’re on the market for a second home and want to learn more about what it will take to get one, or the best way to finance the purchase, reach out and contact us at home.loans. Our mortgage specialists are always standing by to give you the advice you need, at no cost to you.